After a rainy drive up the motorway the match kicked off with the mixed doubles. Ella and Martin had a tough 3 games in which they fought to take the 2nd game. A couple of unlucky net shots in the final game and a strong Yorkshire pair meant they lost as did Tom C and Jolie despite some great back of court play from Tom. 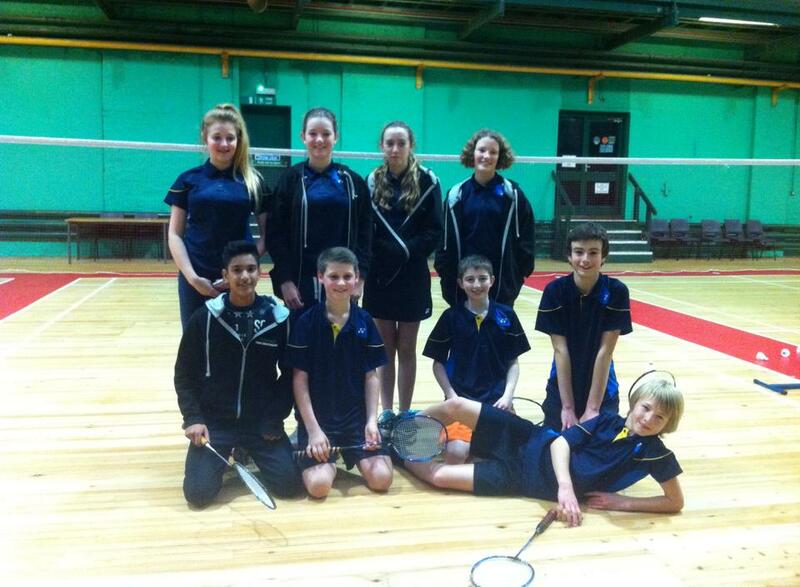 Eve and Ryan and Issy and Nikhil did really well to both win in 2 games. This with Nikhil not feeling too well! Issy, Jolie and Ella both fought hard against tough opponents but unfortunately lost in 2 games. Eve played a fantastic, nail biting match, in which she just lost the 1st game, won the 2nd 22-20 and won the 3rd 21-19 with everyone watching and cheering her on. Martin and Nikhil played brilliantly to win their matches, Martin showing great movement around the court. Tom C and Tom L played some fabulous shots but unfortunately were beaten by strong Yorkshire players. Next was the doubles so the pressure was on. Issy and Eve took a while to get going but played well to take the second game, then just couldn’t close it losing the 3rd. Ella and Jolie worked well together as a pair but just couldn’t hold off the strong Yorkshire pair. Both boys teams of Ryan and Tom L and Martin and Tom C played really well to win in 2 games. Some great defensive play from both teams. Then came the crossover games. Again everyone worked hard and the fitness work that they have been doing has definitely paid off! After the first girls crossover doubles the match was Leics 7 – Yorks 10. ….. the remaining doubles matches were tight, 1 game all……it was all down to the deciding games whether we could secure a draw with a possible win, but unfortunately those games were lost too despite some fabulous play.